Everyone has an opinion about grammar. Some people get upset about what they regard as bad grammar, and believe we must all ‘follow the rules’. But where do these rules come from? And are they all valid? In this new feature, Real Grammar, Macmillan Dictionary offers a series of videos and blog posts about grammar questions, such as split infinitives, who vs. whom, dependent prepositions, etc. There are 8 videos so far, with the Dictionary’s Editor-in-Chief, Michael Rundell, each accompanied by a blog post. There’s also a quiz you can do to check your ‘real grammar’ knowledge. The introductory video (above) discusses the two approaches to grammar – prescriptivism and descriptivism, and explains how analysing corpora is a more reliable way of finding out how the language is really used. Keep an eye on Macmillan Dictionary’s YouTube page for new videos coming soon! If you’re interested in ‘real grammar’, follow the hashtag #realgrammar for more information. For more information about ‘real grammar’, follow the prescriptivism and real grammar series on the Macmillan Dictionary Blog. The New York Times’s associate managing editor for standards on questions of grammar, usage and style. Start with FAQs on some of the most common issues and then follow the weekly column. You can also subscribe to an email alert that sends you a link whenever there is a new post: Register with the site and then go to the bottom of the Home page, click on Alerts, then +Create New Alert > Keyword Alerts and type “after deadline” in the keyword field. An excellent way to stay up-to-date with the newest developments, practices, ideas in business management and practice English, from one of the most authoritative sources on the web. There’s a choice of daily, weekly and monthly newsletters, as well as topics of interest to select from. Summaries of the best big ideas on HBR.org. HBR editors scan the web for the stories most worth your time. Weekly update featuring the best blog posts, videos, and podcasts from HBR.org. The best research, ideas, and insights in each new issue of Harvard Business Review. Counting the Uncountables: bunches, pairs and containers. 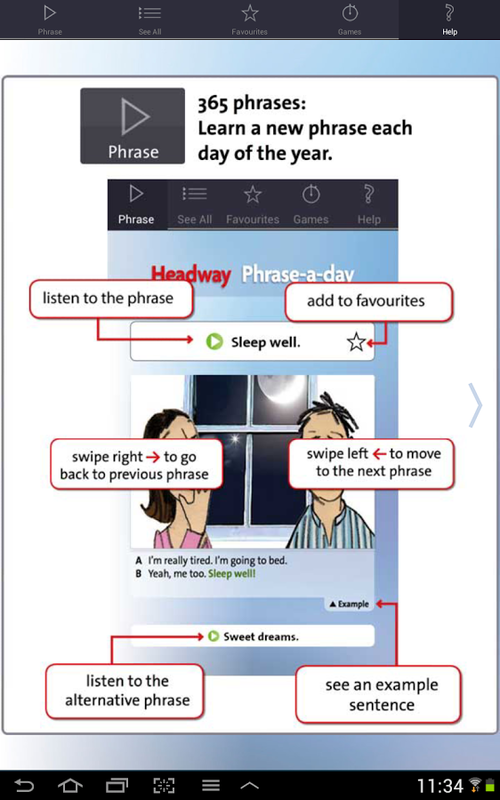 From engames, a website with loads of interactive activities and visual aids to practice English. How to talk about uncountable nouns in a countable way. Also, things that come in pairs, bunches, etc., and other containers. 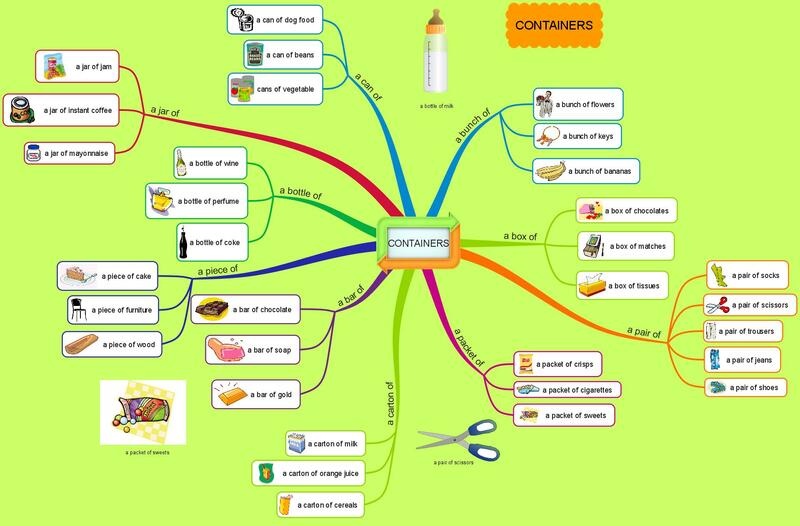 With a video, a mind map (picture above) and three interactive games. Lynn Gaertner-Johnston is a trainer specialising in business writing. On her site you can find free tips and articles, as well as publications you can buy. Sign up for the free monthly newsletter with practical advice on grammar, syntax and etiquette (you get a complementary copy of Email Etiquette: 25 Quick Rules). Lynn also maintains a blog about Business Writing. Pro Writing Aid offers a free online editing tool. Just paste your text into the editing box and the site generates a detailed analysis and tips on how to improve it. There’s a premium version and an add-on for Word (which I have not tried, though). Type the word you want to look up in the field right next to the menu and press enter. You can hear the word pronounced with a British (UK) or an American (US) accent (click on the appropriate “loudspeaker” icon). In the column on the right, you will often see a section titled More results for (the word you looked up). In the tabs below, you can find phrasal verbs and idioms that contain the word. Further down, there may be a SMART Thesaurus box with synonyms and related words. If you click on any of the words in that box, you’ll go to its own dictionary page. You can also click on the topic heading below the box to go to the thesaurus page with all the related results. This is very useful when you’re looking for words with similar meanings or words related to a particular topic (for example, when you have to write an essay about education). At the bottom of the page, usually, there’s a section titled Browse the Thesaurus. You’ll see a list of topics: Business, Clothes, Education, Finance, Light and colour, Personal care. By clicking on any of them, you’ll be taken to the relevant thesaurus page with the familiar word box and a list of related topics on the right. Finally, check out the menu below the search field, near the top of the page. Hover your mouse over the headings (Tools, Resources, Topic Areas, etc.) to see a menu. You can find practice activities, a blog “about words”, widgets for your browser and all sorts of other cool stuff.